This is a Sponsored post written by me on behalf of PeiWei for SocialSpark. All opinions are 100% mine. Wanna know what I’ve been doing lately? I have been thinking about the “light at the end of the tunnel”. The tunnel is our new house and the light is the day that everything is moved in and life returns back to normal. Girl’s gotta eat and there’s not enough time to even do that! Okay. Scratch. There’s always time to eat. Luckily for us, Pei Wei Asian Diner is only a few miles away and it happens to be one of our go-to restaurants when we haven’t had a minute to breathe. When looking for some fresh, high-quality Asian-inspired cuisine featuring 35 fresh, hand-cut ingredients, Pei-Wei is our favorite place to visit. 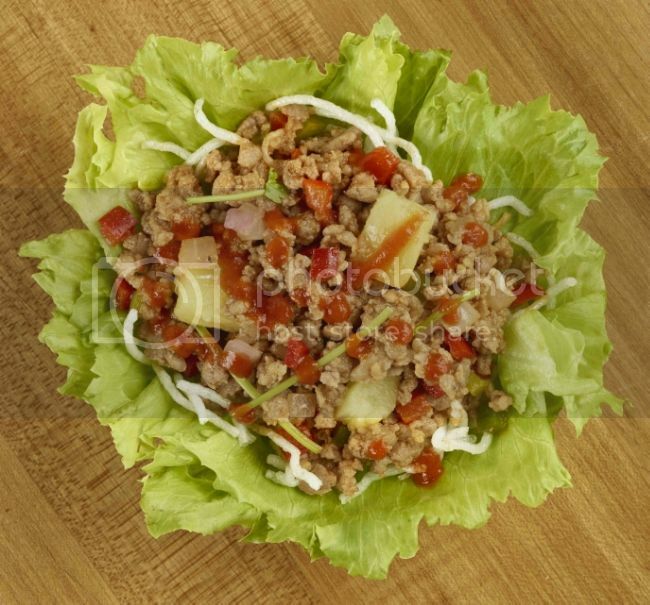 Their new menu item, the Sriracha Pineapple Pork Lettuce Wrap, is incredible! I mean, hellllooo, there’s Sriracha sauce in it! AND wok-seared pork paired with fresh vegetables and sweet pineapple! Doesn’t get much better than that. Explore the full Pei Wei Asian Diner menu . Whether we are in the mood for a quick lunch or a delicious dinner, Pei-Wei Asian Diner, operated by P.F. Chang’s China Bistro, provides a lively, fast casual dine-in experience for us. What’s better is that the restaurant offers the flexibility, speed and convenience of take-away service to provide guests with tasty options. All items are made-to-order, thus guests can customize each dish to their liking. Also, Pei Wei serves freshly prepared, wok’d to order dishes and a wide variety of gluten-free and vegetarian options. If you are looking for fast, yet fresh, Asian-inspired cuisine, you have got to visit Pei Wei Asian Diner. My suggestion would be to hop over there as soon as possible because you need to try the super-delicious Sriracha Pineapple Pork Lettuce Wraps. They are SO GOOD! 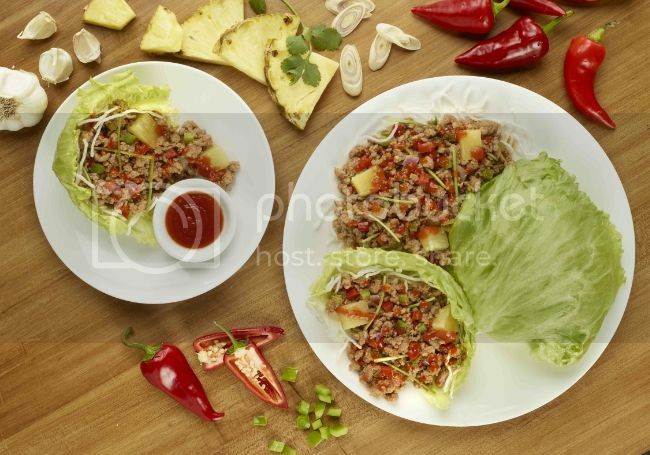 Let me know why are you excited to try the Sriracha Pineapple Pork Lettuce Wraps. Is it for the delicious wok-seared pork, the sriracha sauce, the pineapple, the veggies?!? I’ll take all of it! That is, I’ll take all of it wrapped in lettuce! Btw, I nominated you for the Liebster Award! Check my recent post about this award on my blog when you have time 🙂 Congrats! Wow! The wraps sounds so good. They sound great for parties where guests can assemble their own lettuce cups.